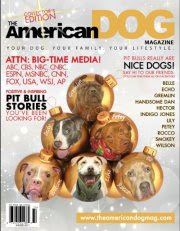 2012 PIT BULL FROGS CALENDARS HAVE ARRIVED AND ARE READY TO SHIP! 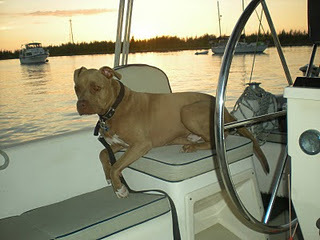 ORDER YOUR 2012 CALENDARS WITH PAYPAL BUTTON ON SIDEBAR! Proceeds will go to organizations that benefit Pitties by rescuing, adopting, fostering, providing medical care, training, and educating the public about this wonderful, sometimes misunderstood, dog. CALENDAR PRICE REDUCED WHILE SUPPLIES LAST! Hi efurrybody! 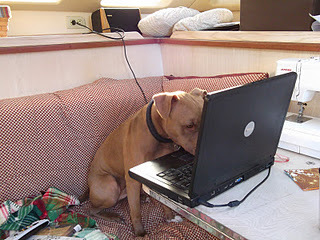 We know we have been MIA for quite some time and we apologize from the bottom of our furry hearts. We promised bios of all our awesome calendar Pitties and we have dropped the ball. 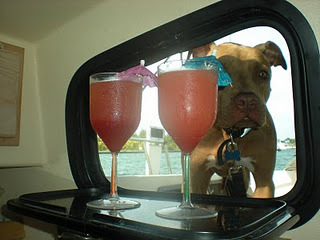 But we still have plenty of time to give you the "Up Close and Fursonal" on each Pittie so don't give up on us! We're stopping in today to let you know that we've reduced the price of the PIT BULL FROGS 2012 CALENDAR to $6.95 while quantities last. We know the year's almost half over, but this is one calendar that you will want to keep and look at again and again for years to come. The new lower price still includes shipping costs and will still allow us to donate a few bucks to some awesome Pittie organizations. 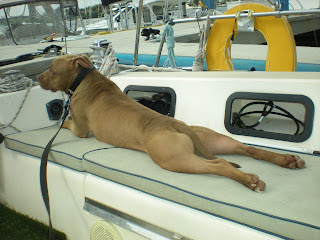 So, if you would like to have a Froggin' Pittie Calendar of your very own, hop on this deal right away! Has a dog ever come into your home and life that you weren't exactly thrilled about at first? Maybe your significant other or one of your kids brought the pup home. A dog wasn't in the plan, especially not "that" dog. I can tell you - that's happened more than once in our house! But, then, in spite of your "plans" or desires, you fell madly in love with "that" dog and couldn't imagine life without her (or him)! Sound familiar? Well, that's what happened with Abby - one of our April Calendar Pitties! She was adopted from the local APA. My son brought her home and I wasn't too happy, I even had a few anxiety attacks. After months of trying to find her another home, I decided to go to "school" with her. 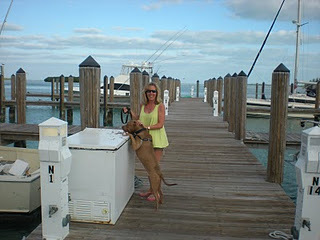 We had the best trainer and I learned how to handle the energy of a pit bull puppy. Now, you couldn't get me to give her up for anything. I've even told my kids that when they move out, they will not take her. 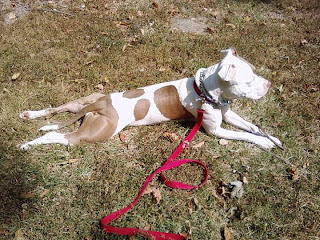 She's sweet, loving and I think the most beautiful girl ever! We tell her every day that she has the "prettiest face" (if you look at her, her freckled nose is heart shaped). 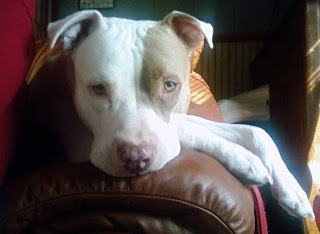 WE LOVE OUR PRECIOUS PIT BULL . . . 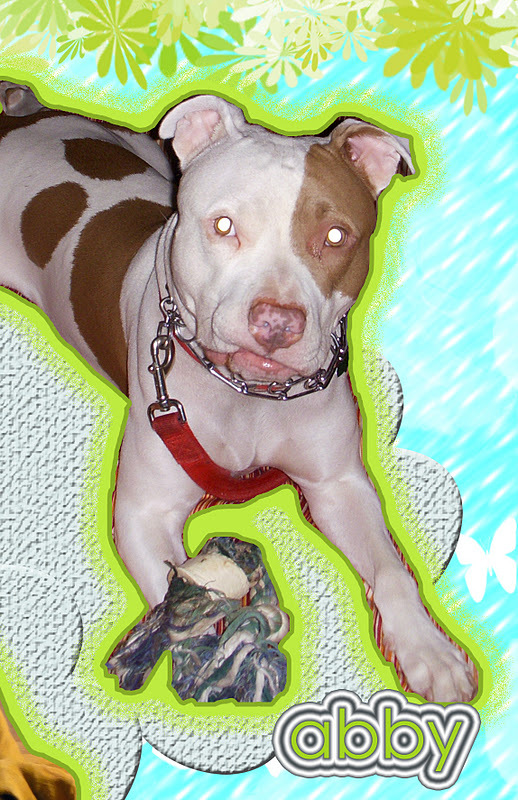 Thanks Abby for participating in our Pit Bull Frogs Calendar Project! 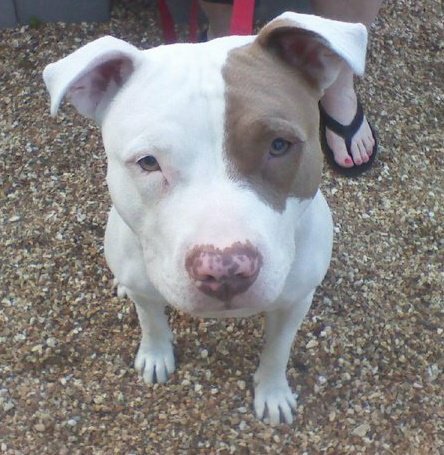 You and your adorable heart-shaped nose are helping us raise money to improve the lives of Pit Bulls everywhere! It's time to get UP CLOSE AND FURSONAL with our calendar dogs! We introduced you first to Cane back in December because that handsome boy is still in a shelter (Stray Rescue of St. Louis) and needs a home! 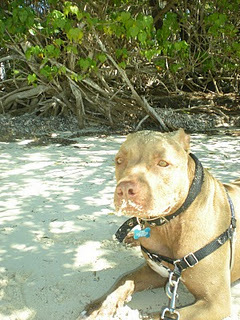 Cane has some training classes under his collar now as well as some new glamour shots on his shelter page and he's ready for his forever home! 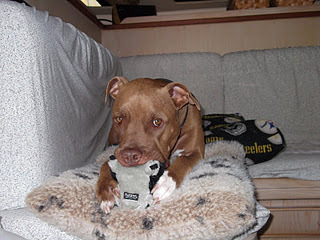 Today we're going back to the beginning and our inspiration for the whole Pit Bull Frogs Calendar idea - WILBUR! We first saw Wilbur's handsome self when he was featured on Two Pitties in the City's blog series "How to Be A Tourist with Your Dog: Boating to the Bahamas with a Pitbull" in the summer of 2011. We fell in love with Wilbur's adorable frog pose and the exciting adventures aboard his boat. One thought led to another and, as they say, the rest was calendar history! We adopted Wilbur when he was about 4 months old. All I know is that Wilbur was originally purchased as a future stud but his career was cut short at the age of 11 weeks when he was attacked by a pregnant pit bull. I have a feeling back yard breeders were at work here. 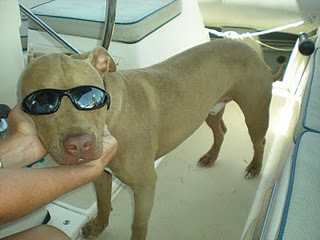 And don't worry, we really ruined his career as a stud when we had him snipped at the age of 8 months! Wilbur suffered a fractured skull (we love to pat his crookedy head), torn ear, pulverized eye (which now looks normal except the pupil doesn't dilate properly), multiple puncture wounds including his throat, which is why he grunts like a pig (hence the name Wilbur), and he snores like crazy. We also discovered a few months after we adopted him that his jaw must have been broken also because he can't open his mouth more than a couple of inches. Luckily this doesn't interfere with eating but we can't give him rawhide chews as he chokes on them! Anyway, his owners couldn't (or wouldn't) pay for his treatment so they relinquished custody of him at the emergency clinic where my daughter is a vet tech. Sadly, no one wanted him even after he'd recuperated from his injuries. Then, during the weekend that it was my daughter's turn to keep him she brought him up to our apartment. Two days later he was ours! This was last March and a year and a half later our life totally revolves around this dog. I grew up in a family of animal lovers and we had many dogs over the years but not one can ever compare to Wilbur. He is such a sweet dog and just wants to love us and be loved. As I write this he is lying tight up against my leg and kerfluffling away (our word for the gusts of breath he pushes through his jowels when he's sleeping)! 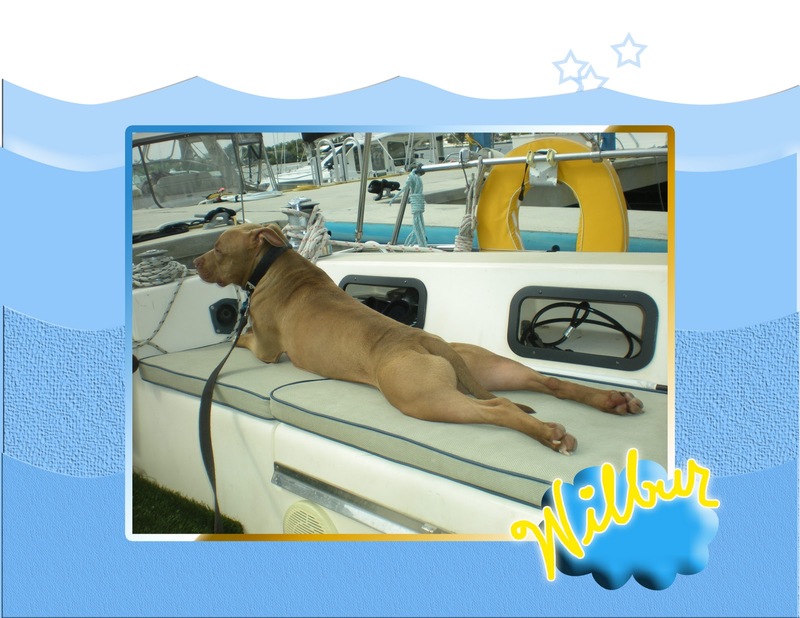 You can see more adorable pics and read lots more about Wilbur and his family's adventures aboard his boat on his blog Knotty Cat Tales. 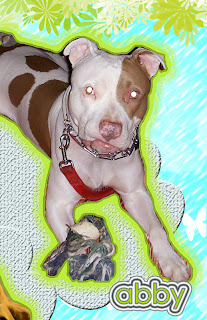 Thanks Wilbur and cheers to you, for being an awesome Pittie ambassador and for inspiring the Pit Bull Frogs Calendar! Looking forward to more Knotty Cat Tales featuring you! Deanne Pace - Works in Metal - Jewelry for You, Inspired by Your Dog!